Today’s Menu: WILL THOU TAKE THIS WOMAN? During a wedding ceremony, the groom is asked “Will thou take this woman…?” and he must make a public declaration to seal their commitment to each other forever. Many grooms proudly say “I Will”. In the book of Proverbs, wisdom (“the ability to discern or judge what is true, right, or lasting”) is likened to a woman who brings many benefits to all who embrace her. 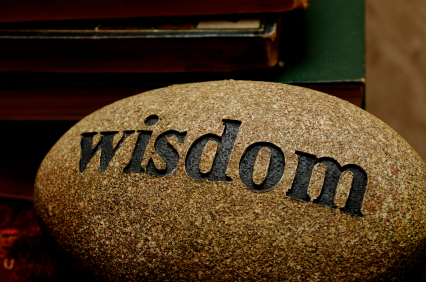 We all need wisdom for life’s decisions: running a business, building a career, making money, deciding whom to marry, what course to study, which country to settle in, which relationships to keep, etc. True wisdom streams from above. Thought: Guide me O thou Great Jehovah; pilgrim through this barren land. Amen.